When people think of a divorce, the first thing that may come to mind is huge legal fees and a lengthy procedure in which both parties will argue over various issues such as financial holdings and child support. In such a case, you would need to hire an expert lawyer who handles contested divorce cases. However, quite often this isn’t the case at all. There are many instances in which the divorcing parties are in complete agreement over the subsequent divorce arrangements and there is nothing to contest. 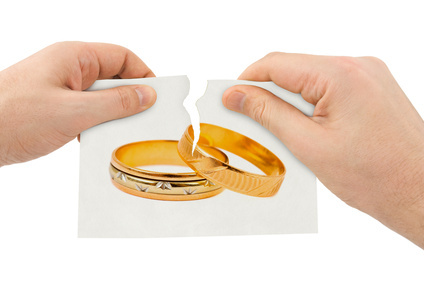 This may occur for a number of different reasons, but the fact remains that divorce is still a legal procedure. This means that there are legislated steps that must be taken in order to settle the divorce. As it happens, most people are not fully aware of all the legal divorce procedures that can be involved in a divorce. It’s more than just the matter of signing a document and waiting for the divorce to finalise. The knowledge of an experienced uncontested divorce lawyer can clarify the legalities of your grounds for divorce and assist you with the steps involved. Even if uncontested, finances, assets and child custody are other common matters to be ironed out in a divorce. We will help you draft up an agreement in everyone’s best in interest to prevent future arguments or unhappiness. While it may be far simpler to file for an uncontested divorce Singapore, it’s highly recommended that you secure the services of an uncontested divorce lawyer in order to facilitate the proceedings. This way, the divorce will run smoothly and delays can be avoided. In addition to this, it’s also important for the couple to be aware of their rights while making sure that their interests are protected under the law. These things should be established before the divorce proceedings take place. Another benefit to a quick and problem-free divorce is the mitigation of some of the emotional distress that will usually be involved with a divorce proceeding. This way, you can both go on with your lives as soon as possible. If you and your spouse have decided to divorce, and have reached an agreement on the reasons for divorce, custody, care and control, and access of the children, division of assets and properties, maintenance of the children and maintenance of the wife, you may file for a simplified uncontested divorce under the simplified track. This process was brought into force by the Family Justice Courts, Singapore, on 1 January 2015 to enable the parties to obtain divorce amicably instead of resorting to protracted legal proceedings. By this process, your spouse will sign all the relevant documents consenting to the divorce, which will be filed with the court. The parties need not attend court proceedings. Beside mediation, engaging in Collaborative Family Practice could be the way to ensure a smooth and amicable divorce. Collaborative family practice is an interest based approach to negotiations pertaining to matrimonial disputes, division of assets, child custody and all other relevant issues. This process begins even before the divorce proceedings begin. Parties will be required to sign an agreement to engage in the collaborative process with counsels on each side assisting them through the process. This can be quite effective form of divorce settlement as the children’s interests are totally secured by keeping them safe and the parties are not intimidated by tight timelines as that in the litigation process. Parties are not forced to accept anything that is not suitable or comfortable for them. In fact parties are encourage to voice out their concerns and fears during the negotiation meetings to move forward and solve the most complicated issues. Click here to read more about Collaborative Family Practice. If you would like to know the difference between contested and uncontested divorce Singapore, click here to find out more. You may wish to read up more on separation as a ground for divorce.